Every land trust knows that connecting with its community is important. But at my land trust, it's essential. Community connections — and the volunteers who emerge from them — are our lifeblood. We could not survive without them. The Tregaron Conservancy is the nonprofit owner and steward of a nationally-landmarked, historic wild garden in the heart of Washington, D.C. Created 12 years ago, the Conservancy has restored and renewed 13 acres. And because we're nestled between two public-spirited neighborhoods, we're fortunate to enjoy from those around us a strong and active commitment to preserving these resources. 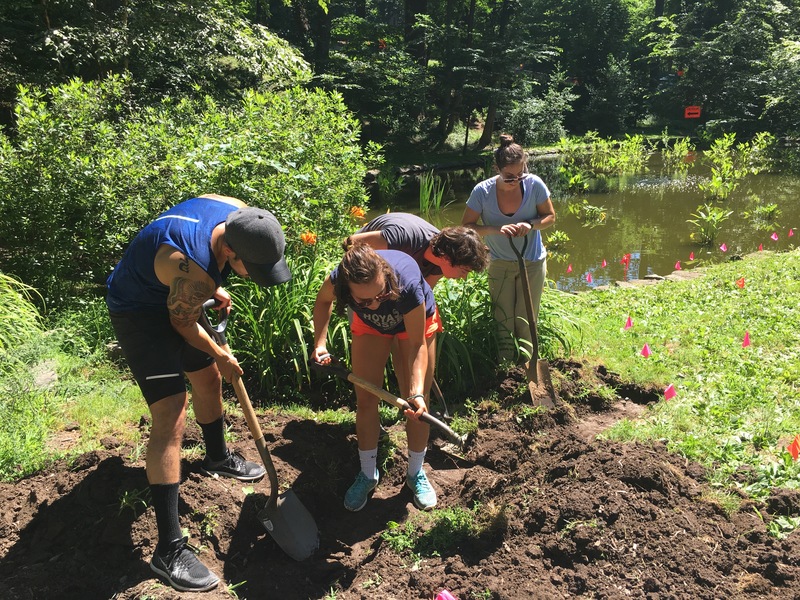 Our neighbors formed the backbone of the Tregaron Conservancy at its inception and today provide dedicated board members and essential volunteers. We have found these helping hands through direct outreach for specific skills — such as the bird expert who leads tours for us and identifies our species — or through pure serendipity, like the time I happened upon a visitor with a large camera who now shares her photography talents with us. Her stunning images breathe life into our social media efforts and help us connect with so many people who enjoy sharing their own Tregaron stories. We are continually reaching out to a variety of groups interested in Tregaron — garden lovers, design enthusiasts and history buffs, among others — to find ways that they can become part of our team. We connect with organizations, too. Our location enables connections with groups such as the Land Trust Alliance, National Trust for Historic Preservation, National Building Museum and The Cultural Landscape Foundation, to name a few. These groups broaden our reach and resources, and bring us opportunities that are invaluable. Still, with a staff of only one person, the Conservancy could not take advantage of these opportunities without our volunteers. Harnessing their enthusiasm is itself a challenge — always making sure each person has the necessary resources, feels valued and understands how central they are to our work. It takes time and effort, but it's worth every moment. This is one of my most important duties — and the energetic, talented people who are drawn to us make it rewarding (and fun) to do. Lynn Parseghian is executive director of the Tregaron Conservancy.